Since I returned from my October trip in Texas, I've been thinking a lot about the rural-urban framework I'm using. 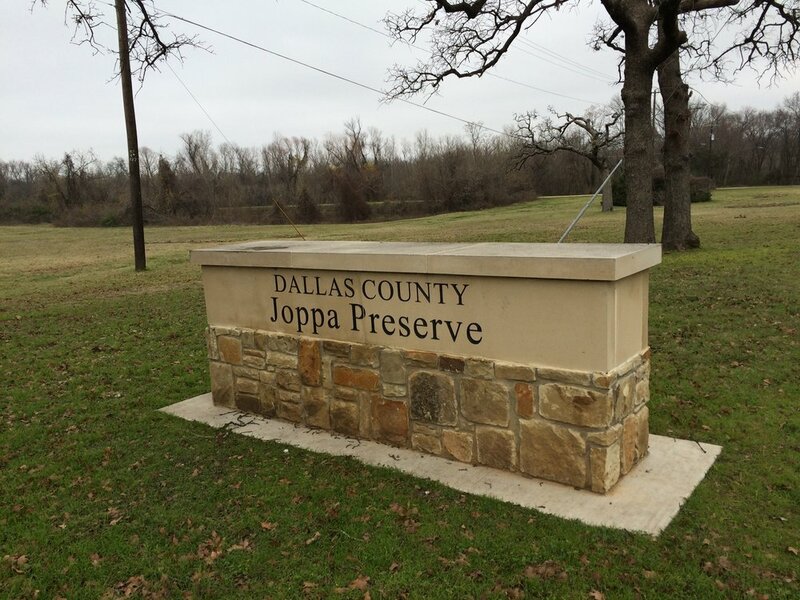 Because the Trinity River flows from urban North Texas and down through rural East Texas, it is a great opportunity to consider the ways that the city and the countryside are connected or divided from each other. This was the main topic of the presentations I led, and I tried to be open about the limitations of this framework. For example, the Trinity River does not explain that much about the contrast in North Texas' century-plus boom and East Texas' long term underdevelopment. Another environmental historian has already written a lovely book on the economic connections between the periphery and the core, but there's a lot of work left to be done on the material and political connections. The commentary and narrative coming out of the media after this week's election has highlighted one of the reasons why my research and analysis is relevant today. One of The Hill's headlines from this morning reads: "America's urban-rural divide deepens." In their telling of the story "suburban voters delivered a stern rebuke to an unpopular president" and "exacerbate a divide between booming urban centers and struggling rural communities." While this sort of analysis has a purpose given our Madisonian apportionment of votes, it leads to facile and unrepresentative assumptions and stereotypes about rural people. Looking at state-level or district-level votes, ignores a great degree of dissent and diversity on the ground. This was certainly true with the way that politics on the Trinity River has been presented. In 1973, all of the counties on the Trinity River from the Dallas-Fort Worth area on down participated in a bond-approval vote to determine the fate of a proposed Trinity River canal. I won't go into all the details here, but the canal was a terrible plan, a waste of money, ecologically ignorant, and not needed, something which even many of its boosters like Rep. Charlie Wilson later admitted. In a surprise to many of the region's most powerful boosters, the canal was defeated. This history is often portrayed as a victory led by urban environmentalists and urban voters. It is true that the urban counties carried the proposal to defeat with 56% opposing in Dallas County and 54% of voters opposing in Tarrant County, but there was significant opposition from East Texas. As you can see in the attached image, 53.2% of the voters in rural counties voted in favor of the canal. It would be easy for a deadline-crunched journalist to write a similar headline about this vote, ie "Trinity Vote Reveals Gap Between Enlightened Urban Voters and Ignorant Country People." But that's not what the data actually says. Several East Texas Counties voted against the canal, and San Jacinto and Houston County both opposed the canal by over 75%, enough to make the Sierra Club blush with pride. Certainly rural voters and urban voters had different reasons for voting against the canal--but it would be both inaccurate and unfair to label all East Texans as blind supporters of elite boosters and their plans for the conquest of every environment. In this context, my dissertation reminds me a bit of the new reboot of #queereye, without the laughter and tears. The cast spends a lot of their time working with people who live in rural/exurban regions and who at first glance might fit the portrayal of hateful, intolerant country bumpkins, but then it turns out they're kind and thoughtful people who are willing to learn. Or for my historiographically-minded readers, think of this project as reflecting more of Lawrence Goodwyn's approach in which he wrote, "At bottom, Populism was, quite simply, an expression of self-respect,” rather than Richard Hofstadter who portrayed rural people as angry and left-behind. During my return from a research trip to UT's Briscoe Center last week, I made a list of all of the archives in which I found sources for my dissertation on the Trinity River. I thought the list would come out to around 30 different archives, but the actual list came out to 37 locations. At some places I only gathered one or two documents whereas at archives like SMU's DeGolyer Library or the Texas State Archives I have collected hundred of images. The list of archives does not include all of the sites I visited, for example I went to the National Archives in D.C. two years ago to study the Freedmen's Bureau records, but have since found all of these sources on familysearch, which is far superior to microfilm. Recognizing the number of archives I have visited has made me realize that I need to start writing soon. Funding permitting, I will take one more research trip this summer. There are one or two new sites I need to visit and several archives that I need to return to because the time period for this project has expanded since I began my research. Also, I need to return to spend more time at the Rosenberg Library in Galveston because on my last visit I had not realized how terrible the traffic is in the Galveston/Houston area and ended up only have about two hours there before I had to leave to catch my flight home! People talk about the expense of global history, but even this river history, within a single albeit, large state, can be quite costly. Funding from individual libraries has been helpful, however research funding not tied to a particular library such as the East Texas Historical Association's Otto Lock grant has allowed me to visit so many of these smaller unfunded sites. Other than my project's scope, another major change has been the quantity of materials that have been digitized. There are likely several collections that I visited in person which have since been digitized. The single best resource has been the Portal To Texas History-that site is the reason my computer's mouse had to be replaced and I am still not finished reviewing all of their sources, especially their newspaper collections. These online resources have saved me money and allowed me to research more efficiently. I know some people really enjoy being in the archives all day, but I would much rather spend a limited two-three hour period of time doing research each day, which is exactly what all these online resources have made possible. How did I decide to visit all of these archives? The finding aid's and Texas' TARO (Texas Archival Resources Online) have been useful, but a word of caution to other Texas researchers that a significant portion of holdings are not on TARO even if the archive is listed in TARO, and can only be found on internal catalogs--hence the reason to always make contact with the archivists who will point you in the right direction as long as your project is not hopelessly broad. I have been mining the footnotes of all the relevant secondary sources. One such example is the WPA slave narratives. I thought I had searched through all of these interviews at the outset of my research. Only when I found several WPA quotes in other history books about the Trinity did I realize I was missing something. It turns out that the majority of the interviews from Texas are listed as "supplement" and you will not find them if you download the main set of interviews from Library of Congress/Gutenberg. Maybe you already knew this, but no one told me, and my project would have been much poorer had I not made this discovery. The reason I visited the manuscript collection at Cornell was because of a citation found in Mike Campbell's An Empire for Slavery. Buried within a much larger collection relating to a Cornell Professor are a series of letters written by Otis Wheeler and his daughter Lizzie. How Campbell knew to look through this collection I have no idea. Wheeler owned a plantation along the Trinity and he describes life along the Trinity, how floods could destroy crops or how fish and river bottom hogs provided food for the plantation. Wheeler had moved to Texas from Lincoln, Massachusetts where his mother still lived. He often wrote about his distaste for the abolitionist sentiments in New England, but he spoke fondly of his old friend Summer Bemis. In 1860 Wheeler wrote his mother, that Bemis, whom he had not seen in twenty years, should come visit, however "if he is an abolitionist any other country would suit him better than this." Wheeler learned in short order about the rise of abolition in the United States. One of my good friends from Concord Massachusetts (the town adjacent to Lincoln) is a direct descendant of Summer Bemis so I guess it's a small world in the past and the present. Semi-petrified wood? Trinity River at low water. Enthusiastic audience at Livingston Public Library for my presentation on Trinity River History, summer 2017. Summer 2017 at Rosenwald School in Coldspring, site of another Trinity River presentation. 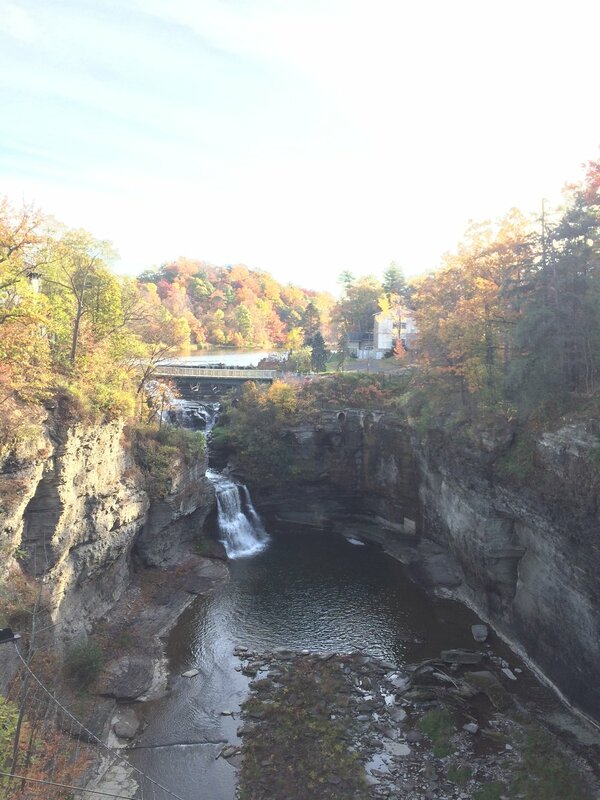 The gorges during my fall 2017 visit to Cornell. And just for fun, a picture of a cabbage that I purchased for three dollars on my drive back from the Cornell Archives, as you can see the cabbage is pretty much the same size as Alsea! After I flew into Dallas for my latest research trip, my cab driver’s response to my mention of the Trinity River was: “Oh you mean the bodies?” Whatever renaissance American rivers may be experiencing, the Trinity’s reputation remains infamous. I have a few theories about when and why this reputation developed, but in part it is simply a result of the fact that people did meet their deaths down by the river. One of the first readers of my blog sent me documentation of her family’s history with the Trinity River when her great-grandmother was murdered next to the river on May 20, 1923 at age twenty. What happened, and what does this event tell us about the Trinity River? One of the detectives assigned to the case was Will Fritz, who forty years later led the investigation into the assassination of JFK. Despite the strong detective work there is no indication that anyone ended up serving time for this murder. According to the reports, the shooter feared a wild animal rather than another human, and he took a shoot-first ask questions later approach. The Trinity would have been a relatively undeveloped area, and it is unclear whether the shooter had a reason to fear the animals along the river or if he had heard tales of these wild animals. In The Making of a Lynching Culture Bill Carrigan argues that the state’s reputation for violence made new settlers more likely to take part in a culture of violence. There may be some specific material reasons why so many murders happened along the Trinity, but a bad reputation and an itchy trigger finger also played their role in this tragedy. On May 21, 1923 the Trinity made two separate headlines, the first reads: “Jurors Probing Death of Woman Bullet Victim,” but directly below that story the next headline reads, “Heavy Rains May Cause Trinity To Overflow Again.” While the placement of these two stories next to each other may be both conscious and coincidental, it shows the ways that the physical actions of the river and its reputation are completely intertwined. How I put the Trinity’s relationship to Texas culture into words, is one of the many questions I will be trying to answer over the years to come. There are two kinds of boats that dominate the historical record of the Trinity River: Steamboats and Ferries. Steamboats makeup the bulk of the collection. 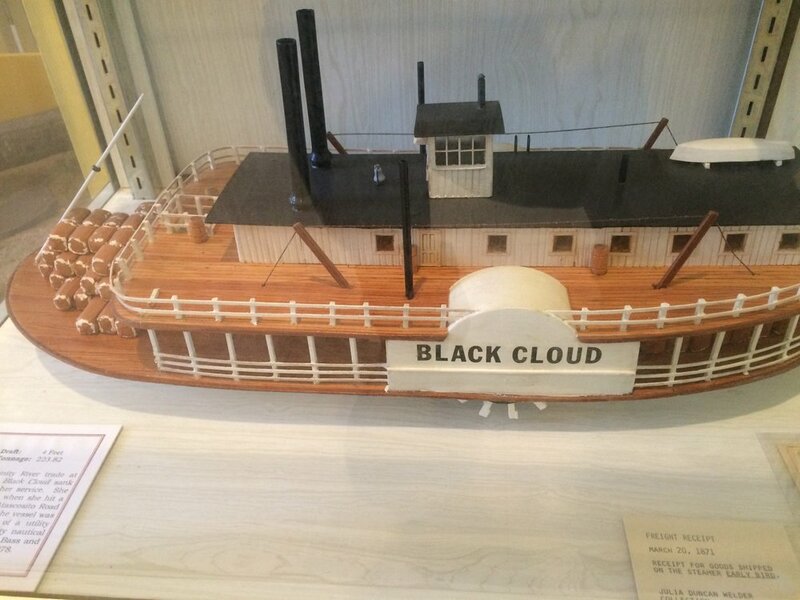 If you go to a Texas archive and look under the card catalogue for “Trinity River” there’s a good chance that half of the materials you find will be about steamboats. Like railroads, it turns out that many people are obsessed with steamboats. I don’t share this enthusiasm for steam power, though in future posts I will discuss the other possibilities for interpreting this substantial source base. While not nearly as evident in the archives, I have found quite a bit of information on ferries as well. When I lived and worked in Oregon I used to take the ferry across the Willamette River to work every morning, but that was mostly a choice since there are plenty of bridges that cross most rivers. Rivers used to be constant barriers for travelers who were lucky if they could find a ferryman to get them across and save them a swim. Several years ago at a conference, another historian described how he had read or heard from Don Pisani that we should not think of rivers as bisecting land, but of the land bisecting rivers. I haven’t been able to track down the exact quote, but it really captures a reality for many Texans–fortunately for them however, there were quite a few ferrymen in the 19th century. But what was life like for these ferrymen? When I was a regular on the ferry, many ferry operators mentioned how bored they were much of the time when only twenty cars would use the ferry all day. Yet many of these 19th century ferrymen had far fewer patrons on most days. Presumably they would have had other activities to occupy them whether that was whittling things, fishing, or who knows what. The coins they collected could have been quite substantial, and some traveler accounts describe how they were not carrying the fare on them and were cursed out by the ferryman. The labor of the ferrymen would also have varied with the river. During low-water periods the span of the river might be only ten yards, while at high water times people describe ferries taking them across for five miles. Would they have charged a flat rate? Sometimes, especially in periods of armed conflict and flooding, the ferryman could get quite backed up, with people waiting for a week to be carried across the Trinity. From what I can tell, the life of ferrymen was anything but boring. And it could also be quite dangerous. Lawsuits were brought against the ferrymen questioning their skills. And people also attacked, or even murdered ferrymen. Perhaps because they were relatively cash-rich individuals? In one case a ferryman on the Trinity was murdered by an axe-wielding assailant who was hired to kill the ferryman so that another relative could inherit the ferryman’s property. What is freedom? For the inmates who live in the prison units along the Trinity River bottomlands in Tennessee Colony the answer is easy: Everything beyond the last razor wire fence. Yet unless they are serving a life-sentence, the passing of time represents a better opportunity at freedom compared with escape into the bottoms. If wet, the blackland mud will collect on their feet, weighing them down and leaving a trail of alien prints in the mud that even a hyposmic hound could follow. As they near the river they will enter the checkerboard woods, so named because these blocks of field and forest resemble a checkerboard when viewed from above. Originally cut with the purpose of making it easy for posted sentries to shoot escaping inmates as they crossed from one block of woods to another, the extensive edge habitat and lines of sight have made it the most productive section of a hunting preserve whose blinds tower over the white-tailed deer and wild boar flushed by the panicked escapees. Beginning in the 1820s, much of the Texas landscape represented a similarly fraught geography of possibility and danger for those who attempted to escape their enslavement. The end of the Civil War and the ratification of the thirteenth amendment, which abolished slavery, might appear to level the geography of freedom. Yet violence only increased in Texas’ postwar years, and in the years after emancipation freedmen sometimes turned to the floodplains of rivers such as the Trinity in search of freedom. The thirteenth amendment itself contained its own Trojan horse on the question of freedom. It reads: “Neither slavery nor involuntary servitude, except as a punishment for crime whereof the party shall have been duly convinced, shall exist within the United States, or any place subject to their jurisdiction.” Vagrancy laws and rising incarceration rates suggest how Texas sheriffs used the thirteenth amendment’s prison loophole to limit the gains of emancipation. The thirteenth amendment at once enabled and restricted freedom. A river runs through these tensions, which are made visible on the Trinity River and the plantations, runaway refuges, prisons, and homesteads along its course. Those freedmen who settled along the river discovered that by breaking down the divide between land and water, by accepting the rhythm of flooding, they could elevate the divide between freedom and slavery and build independent communities. Flooding regulated the kind of crops that could be cultivated, the kind of people who would plant them, and the kind of people who might try and control their labor. Flooding also made rich land, albeit a bit slippery when wet, and cracked like thousands of broken pots when dry. Accepting certain limitations also meant unleashing the tremendous potential of the alluvium and the landscape itself. Much of the wildlife, including the enormous scaled alligator gar that breathes air, depend on flooding to survive, only spawning when the river breaches its own levees. Understanding the gar as ecological and historical also explains why some people who lived along the river did not see flooding as an aberration or a problem. Like the gar, these river people viewed flooding as a necessary, inevitable process that they must incorporate into their routine, and which inevitably changed their perspective of the world. However by the beginning of the 20th century, the gar had received the label of trash fish, sometimes left nailed to a tree where it continued to breathe air even as it died of desiccation, and the river had largely ceased to be a region of refuge. The gar and river people never disappeared, but their importance diminished, becoming tokens of prehistory or precapitalism. If anything remains unchanged from the 19th century today it is the always-changing Trinity, which still floods and shifts its banks, more readily than ever as the vast impervious surfaces of the Dallas metropolitan area channel water directly from the sky into the river. Millions of people live with the river’s floodwaters, but they no longer adapt to them. The Trinity no longer directs the shapes of their thoughts or their ideology. The river is no longer a home. When the river functioned as refuge, its most important quality was distance, the way its forest, mud, and floods kept sheriffs looking to fill work crews out of their homes. In Texas, the violence only intensified starting in and after 1865 and freedmen looked for places where they could keep that violence at a distance. So they did not initially adapt to the river by choice, and they only discovered the benefits of letting fears of flooding dissipate because they had bigger fears to live with. In the Works Progress Administration’s interviews with former slaves in the 1930s, many interviewees spoke fondly of their time along the Trinity, how their families and communities flourished in such places. One man spoke of how they often carried guns to protect themselves from the panthers that lived in the bottoms, but he left unsaid how the necessity of arming themselves against the panthers could also protect his family against the dangers that lurked beyond the river. Panthers still roam what’s left of the woods along the Trinity–if they’re lucky, the prison escapees might see a mountain lion, which would not attack, but would nonetheless frighten them, raise the hairs on the backs of their necks, and make them feel alive. Running the last yards to the riverbank they’d find a deep, wide, and muddy channel, full of floating debris: sticks, footballs, oil jugs, and soda bottles. There they would have to choose to swim in the swift water with the alligator gar and alligators or keep running along the bank. However unfamiliar and frightening the landscape might be, for a moment at least, they would be free.